When it comes to haircare, I look for things that are quick and instant and my hair colour goes alongside that. Never have I coloured the entirety of my hair for the lack of options to tide me over during those 'in between' times when I can't get to the salon (or don't want to pay for it so soon!). Hence my constant choice for the classic ombre or balayage. Put it this way, never have I needed a trip to the salon more. I'm a procrastinator and that's what leaves me with stupidly long hair with damaged ends, really needing a bit of love - and my lack of adventure when it comes to my hair colour. When I first heard about the brand EVERPRObeauty and their innovative products I was incredibly impressed - and went straight to my Mum to tell her the news. She had used similar products before but hadn't ever found one that worked well enough so I knew she'd be excited, which is why I had to write this feature as I'm sure a lot of you out there are in the same position. She dyes her hair on the regular and struggles with her roots coming through. I remember when she used to dye her hair blonder, but now she goes for something a little darker, it's the greys that she really struggles with. If you too struggle with the same and need a temporary root touch-up solution, read on... You NEED this product range in your life. 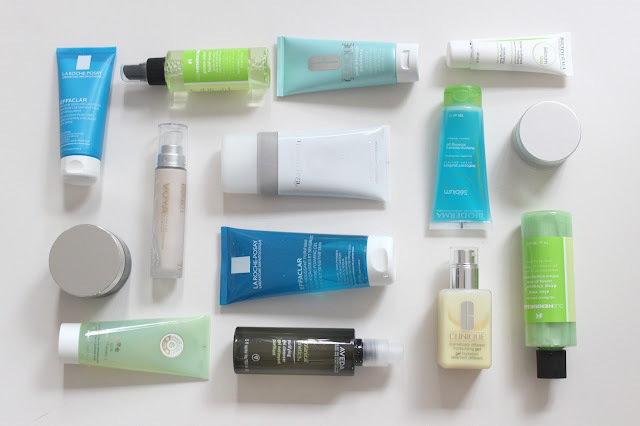 EVERPRObeauty is a small but extremely targeted range of haircare products. The range gives blondes and brunettes a way to instantly cover up roots and greys - and it really is just that, instant. 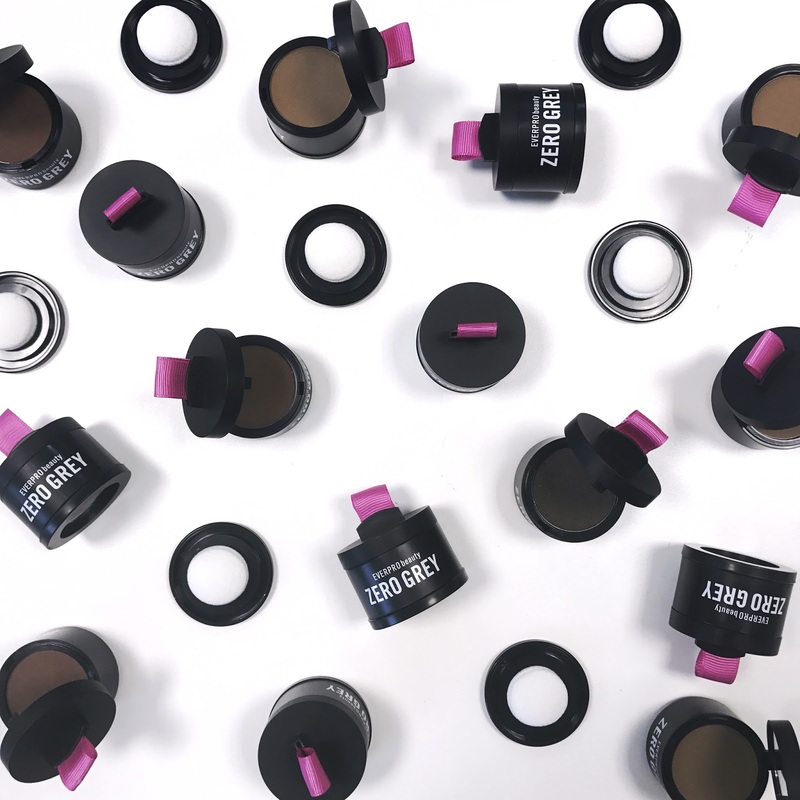 Each of the two colour lines - ZERO GREY and BACK2BLONDE have a spray formula, the Temporary Root Concealer Spray and a powder formula, the Temporary Magnetic Touch-up Powder. Each also come in three shades - but these cover much further than that due to the Self-Adjusting Colour Technology embedded in the product. I know, I know - I usually roll my eyes at these claims too but you can literally see it when you look at the product, especially the powder as you can see it directly in the compact. It glistens in the light and it is filled with different tones, which makes it incredibly natural when applied to the hair - and the spray is the same. My Mum swears by the ZERO GREY range to cover up her roots and now uses it all the time.I'd recommend getting your hands on both of the products for your shade as they are so budget friendly. But if you want to try one out first, give the powder a go - the adorable compact is my favourite as it comes with a mirror and applicator sponge in the packaging but it's still super portable. This really is one of those problems that I have never seen a 'fix' for be done well, but I adore this and for my Mum to love it really is saying something! The full range is available on Superdrug here.